red blood cell production and aiding in the production of normal, healthy myelin which protects the nervous system and supports its function. Methylcobalamin also aids in the conversion of homocysteine to methionine and in supporting healthy homocysteine blood levels. Methylcobalamin is also noted for its ability to donate a methyl group to form SAMe which helps to support healthy brain function and liver detoxification. 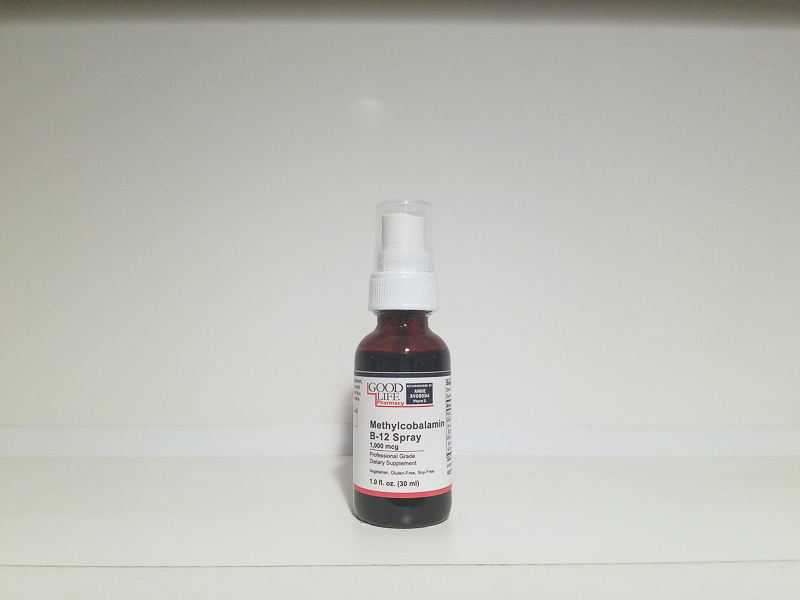 Vitamin B-6, another ingredient of Methylcobalamin B-12 Spray, is a water soluble vitamin that performs a wide variety of function in the body. Vitamin B-6 is needed for more than 100 enzymes involved in protein metabolism. It is essential for red blood cell metabolism and the nervous and immune systems need vitamin B-6 to function efficiently. B-6 is also required for the production of hemoglobin, a protein-based component of red blood cells which is primarily responsible for transferring oxygen from the lungs to the rest of the body. Pyridoxyl-5-Phosphate is the active form of Vitamin B-6 to provide optimal utilization.Folic Acid is a B-vitamin that is important for cell division and is also needed for protein metabolism and repair of RNA and DNA. Folic Acid and Vitamin B-12 are needed for the formation of red blood cells to help increase capillary blood flow.